Where we turn dreams into reality. Please click on the infomercial below to see how the program works. Click the video above to see why The Dreamality Corp is the best place for kid acting training. Check out The Dreamality Corp's upcoming events for 2019!!!! Movie Star Experience for kids starts April 13th. Please email us your name, child's name, age and email to dreamalitycorp@gmail.com if interested in our Apr session. 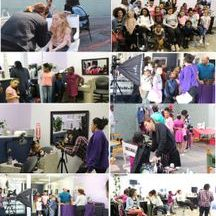 The Dreamality Corp is dedicated to allowing kids the opportunity to have a movie star experience. We offer an experience to kids so no auditioning is necessary. Our programs have multiple purposes. 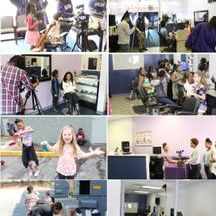 We help train, educate and build self esteem in kids that's interested in acting. We also provide the opportunity for them to receive the movie star treatment they deserve. The experience prepares kids for Hollywood without the approval of Hollywood. Our kids feel like the stars they are and after 23 movie experience, parents and kids will tell you, that we have a special program going. We're the first and only company that offers this combine service for kids. Please click on the video on your right to see how the process works. Note: The Dreamality Corp is a non profit organization that collects money from the below programs as a fundraiser to fund the experiences. Class location - The Lakewood area. It's in Atlanta. About: A group of adorable 5 and 6 year old kids raise money for a field trip only for it to be stolen. The kids received the money back in the most unique way. You will pay a $50 registration fee when registering your child and pay the balance of $75 before May 4th. We offer a $25 sibling discount if signing up two kids. You can't combine this discount with any other offer. This price is only for the movie star experience, it will be an additional $20 for the red carpet movie experience on June 1st. This is optional if you would like for your child to have this experience. They still can attend the event. To register your child for this program click HERE. Limited spaces- only 12 spots so respond ASAP!!! Class location- The Lakewood area. It's in Atlanta. About: A young girls is in the middle of a custody battle. She will not only have a jury of her peers but everyone involved. See how court operates from a kids perspective. You will pay a $55 registration fee when registering your child and must pay the balance of $100 before May 4th. We also offer a $35 sibling discount if signing up two kids. You can't combine this discount with any other offer. This price is for the movie star experience, there will be an addition $20 for the red carpet experience on June 1st. This is optional if you would like for your child to have this experience. They still can attend the event. Limited spaces- only 14 spots so respond ASAP!!! What are the benefits of taking this program? This program is a one stop shop for kid actors and is our most popular. Your child will not only learn how to act but will also have the chance to star in a short film and attend their very own red carpet premiere. This program is what kids want. Kids don't want to always go to practice and never get to play a game so the Dreamality Corp developed the game for kids to participate in. 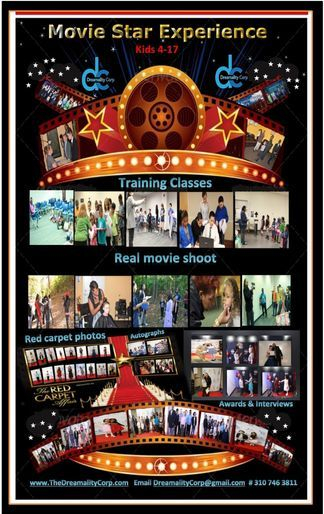 This program prepares your child for Hollywood without needing Hollywood's approval to make your child feel special. We also have talent agencies and managers that will view the movie and call in talent they may want to represent. Does your child need acting training and an agent? Your child must have training before meeting an agent in order to give them the best shot. We have trained kids in the past and have had some sign to major agencies. This program is a great way to have your child trained and have an opportunity at the end of our program to audition for an acting agent. We will train your child for 3 weeks and meet the agency on week 4. What will we cover in those three weeks? Week 3 - Tv & Film acting, TV & Film techniques, Monologues. The agency will come and evaluate talent on the last day. The talent will perform a scene with a scene partner for the agency and exits. The talent will return individually and perform a monologue for the agencies. The agency will contact the people they're interested in for an official audition. Once you complete the official audition, you're singed! This is the best way to get in front of a major agency. Most major agencies will not look at regular submissions, you must be referred or do agent showcases like we're providing. After completing this class, you can add credit to the acting resume under training section. The industry take kids with training more seriously. 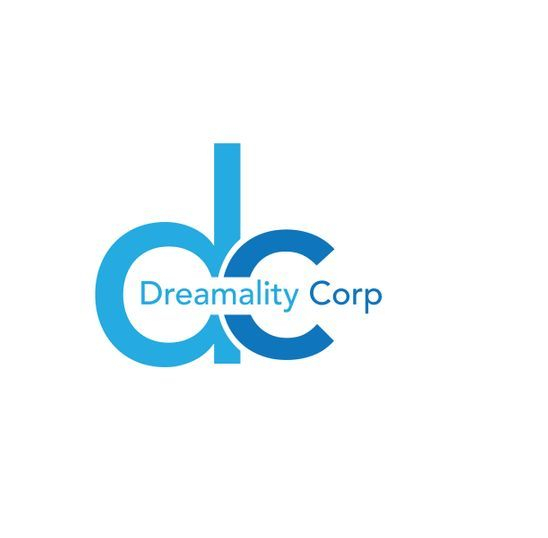 The Dreamality Corporation is a non-profit 501 (c)(3) organization with the commitment of making dreams a reality for common people through entertainment. Many people would love the opportunity to experience what it’s like to participate in a film or perform for a live audience. Through the Dreamality Projects, these dreams can become a reality. Our programs will spark confidence in individuals to continue to pursue whatever remaining dreams they may have. Please click on The past movie experience's tab for more details about our projects. Movie Making Experience – for kids. 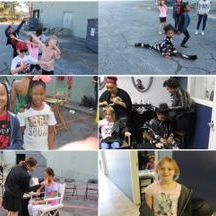 We have a program that will help kids develop their acting skills, learn how to work on a movie set, lean set terminology, set protocol, develop a demo reel and obtain acting credit for their resume. Kids will meet once a week for 4 weeks to learn and rehearse for a short film. Kids will return on week 5 to film their movie. After the movie is edited, kids will be invited to a red-carpet movie premier. The premier will consist of photos, interviews, autograph sessions and movie screening. Kids will receive gift bags and a certificate of completion. Our program reviews from parents and kids have been overwhelmingly positive. We feel this is a great program for kids and we’re looking to improve. We will complete 6 movie making experience programs in the city of Atlanta during the year of 2015. December 2015, we will have our first annual ACTION award show for kids based on the six movies. Most kids sign up for sports, dance or martial arts; this will give kids another unique alternative experience. To view our videos of how the kids are trained to film a movie and see them attend a red-carpet premier, please select the Dreamality Projects tab at the top. The two videos that appear below it are the results of the first two projects filmed in Atlanta, GA. This program also has a financial benefit to it. Many productions are filming in the Atlanta area and this training could increase employment opportunities for the young talent of Atlanta. This training can result in investing back into the community. Even if kids are not fully accepted into the Hollywood industry this program is designed to give them the same gratitude of filming a movie. Movie Making Experience – Assistant living program. This is a program that will partner with assistant living facilities across the country to give seniors a chance to film a movie. This full featured movie will be about an assistant living facility with multiple story lines and characters. The residents are welcome to participate. They will be assigned characters, rehearse scenes and film a movie. Seniors with meet with the director once a week for four weeks to rehearse scenes and dialogue. Production of the movie will start the following week and can last up to 10 days. This can be a great excitement for seniors and for some, it could be the dream of a life time. Once the movie is completed, the seniors will dress up for a red-carpet movie premier, invite family and friends and have a small reception. Seniors will receive a certificate of completion with their character name included. Movie Making Experience- For veterans program. This program is dedicated to giving veterans an alternative activity to participate. We gear the program towards retired veterans but will accept any interested veteran into the program. We will give veterans a chance to learn and participate in the world of acting. The veterans will film a movie and have a red carpet movie premier to honor their accomplishment. This program will keep retired veterans in good spirit. They served the country and we should honor and serve them with this activity. This program adds variety to the list of activities they have to choose from. Seniors may increase their employment opportunities in the entertainment industry based on their performance. * Family members can also receive a copy the movie. This will be a treasure for love ones to keep. With your help and contributions we will have the opportunity to give more kids, seniors the opportunity to have a Movie Star Experience”. We would have the advantage to involve more productions workers who needs experience in the industry and develop better quality films. We will also have the ability to expand beyond the city of Atlanta and give this opportunity to kids & seniors all across the USA. Click below to see how it works. Countrified Wedman is an entertainer from Hollywood, CA. He has appeared in many major Hollywood projects. As a youth Countrified would have love the opportunity to learn and experience what it’s like to film a movie. Now that he has accomplished his dreams, he is now looking to give the opportunity that he wanted as a child to other kids. He has given a lot of time and money to help kids achieve their dreams of acting. He has spent countless hours of teaching, private coaching, editing, producing, creating and developing projects for kids most of the time for free. Countrified wrote, directed and produced all of the short film with 14 kids. Most of the kids had little to no acting experience. This take an amazing person to pull something off like this but Countrified has master his relationship with kids and makes it work. With your assistance, Countrified could concentrate more on operating this program and continue to give talented kids an opportunity of a lifetime. He can no longer run this organization as effectively as it needs to be alone. The Dreamality Corp needs your help.